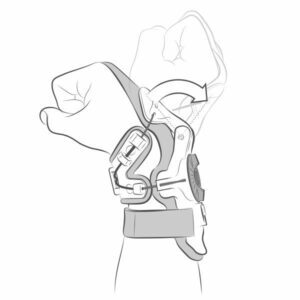 The X8 Wrist Brace incorporates the CCRS (Continuous Cable Routing System), Mobius’ innovative patent pending technology, which provides maximum support across the wrist joint, allows more mobility and progressively resists hyperextension and minimizing the risk of injury to the ligaments and bones. The unique design dynamically changes the tension in the cable throughout the wrist’s full range of motion preventing excessive bending (lateral and medial) and hyperextension. 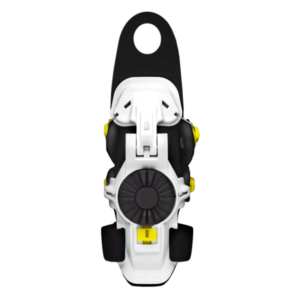 The tension adjustment dial achieves the desired support with ease and the degree of extension can be limited from 10-70 degrees with a simple adjustment screw. Brace weighs 4oz.